Dante's inferno is real, and has a name: Wuhai. 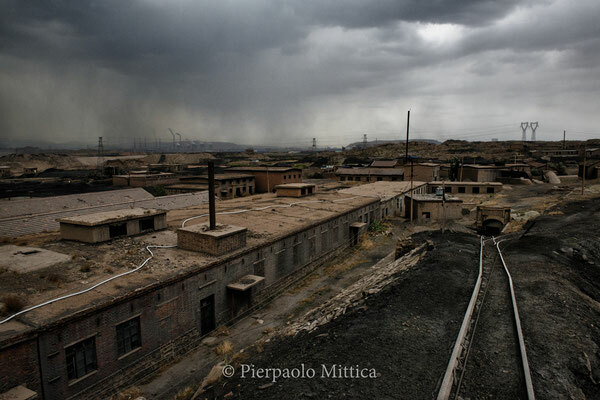 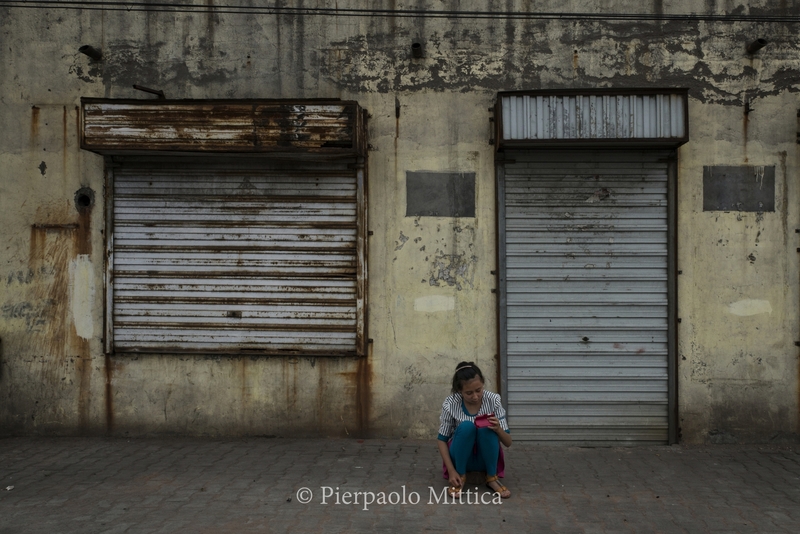 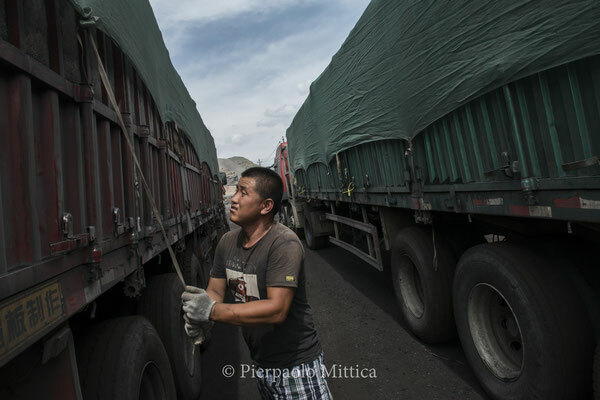 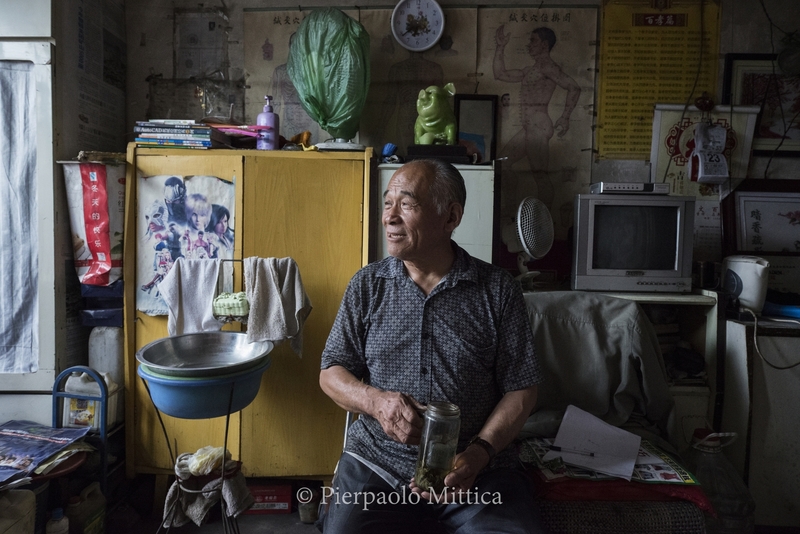 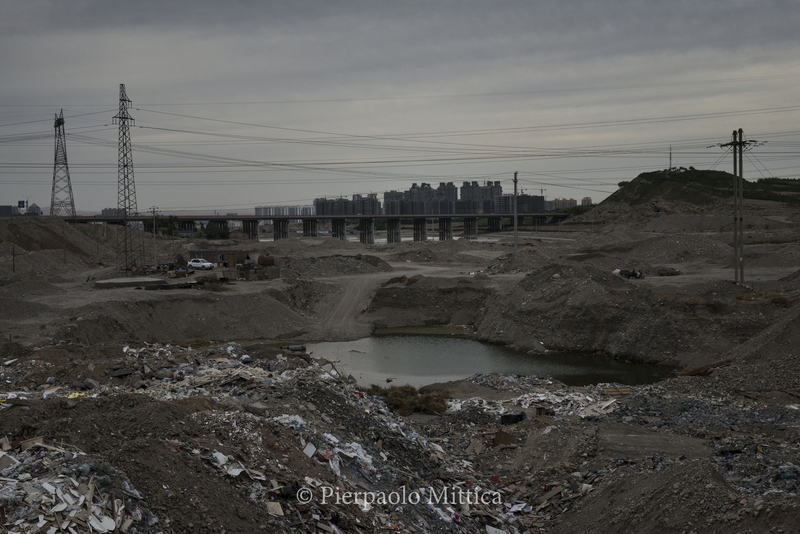 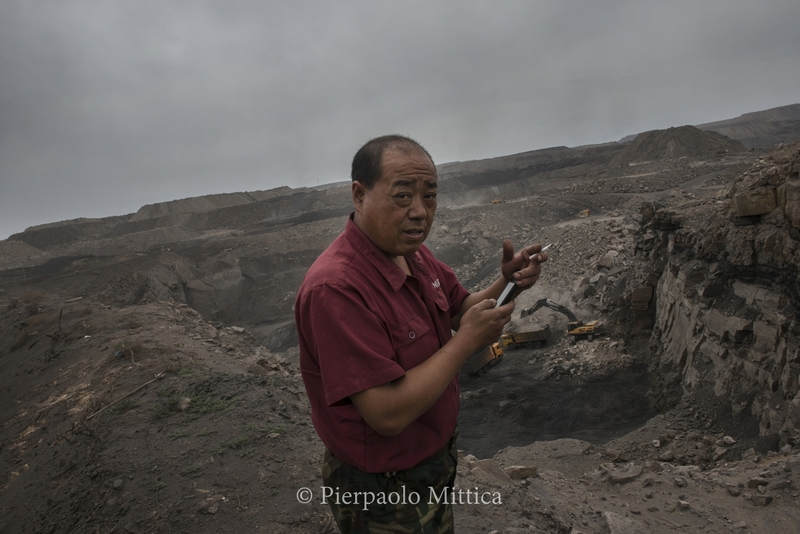 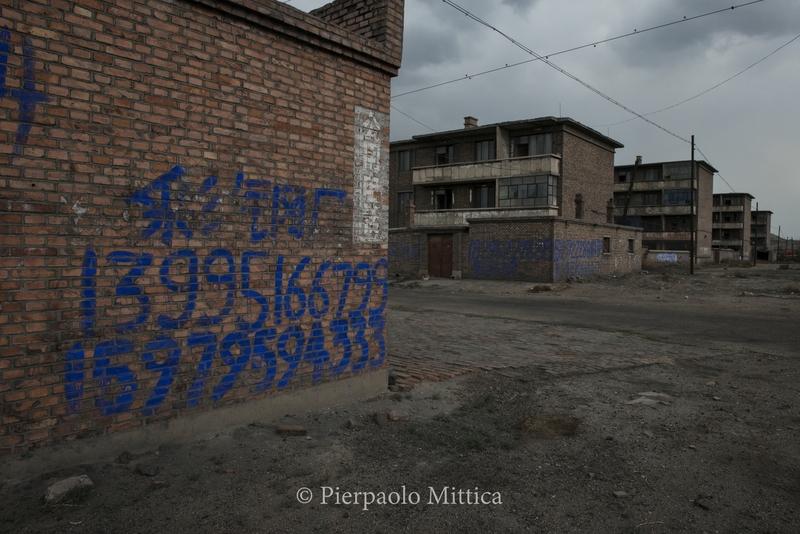 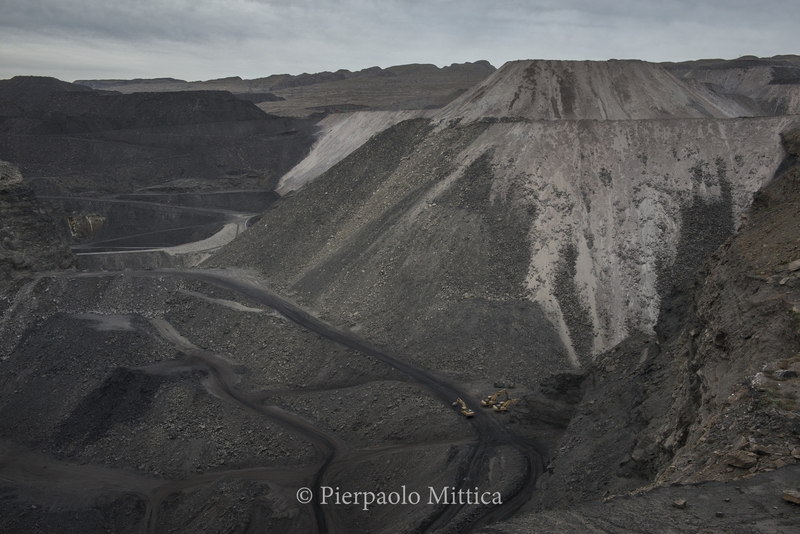 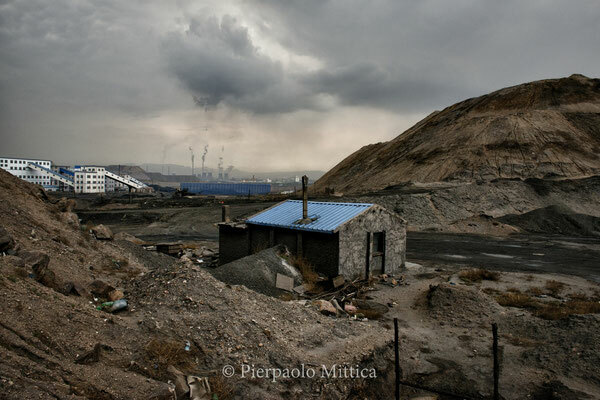 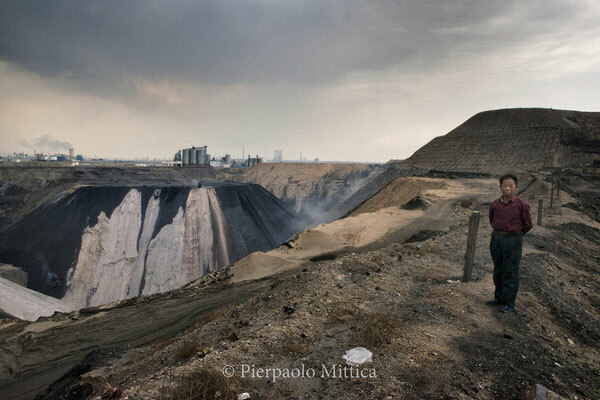 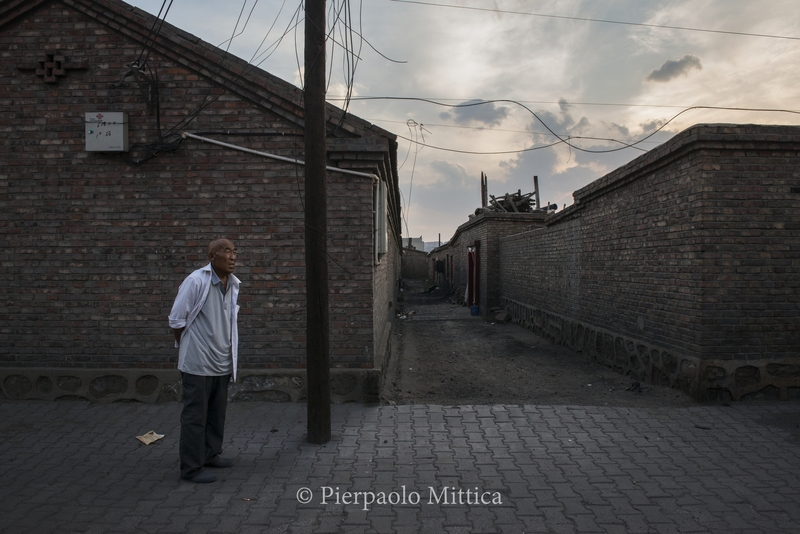 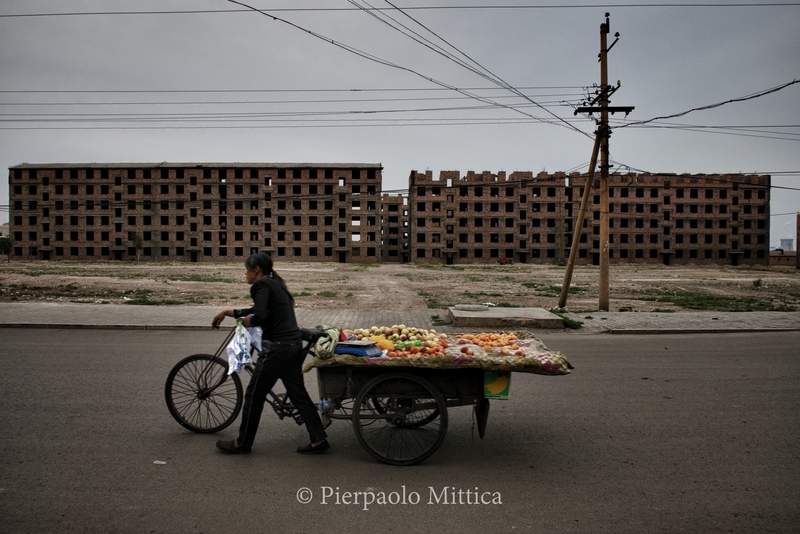 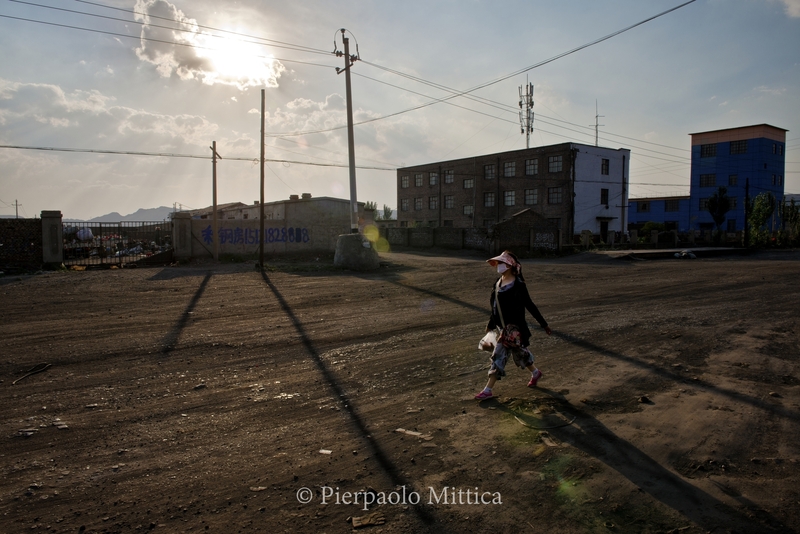 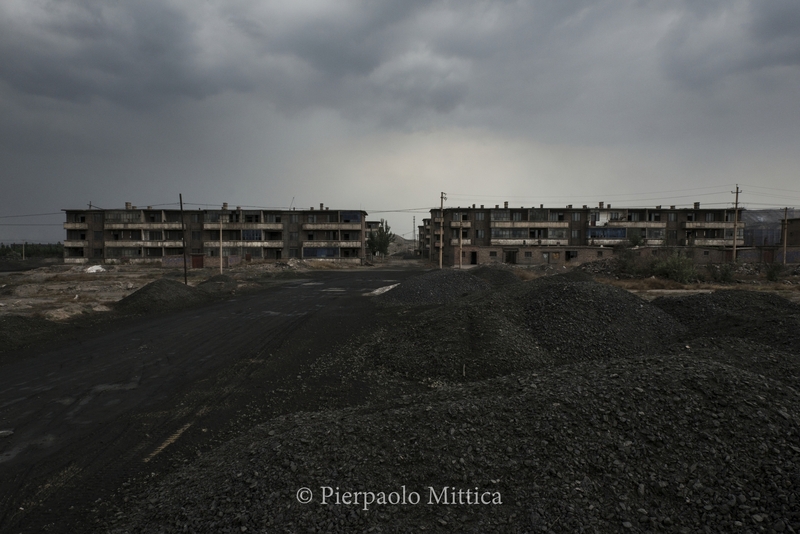 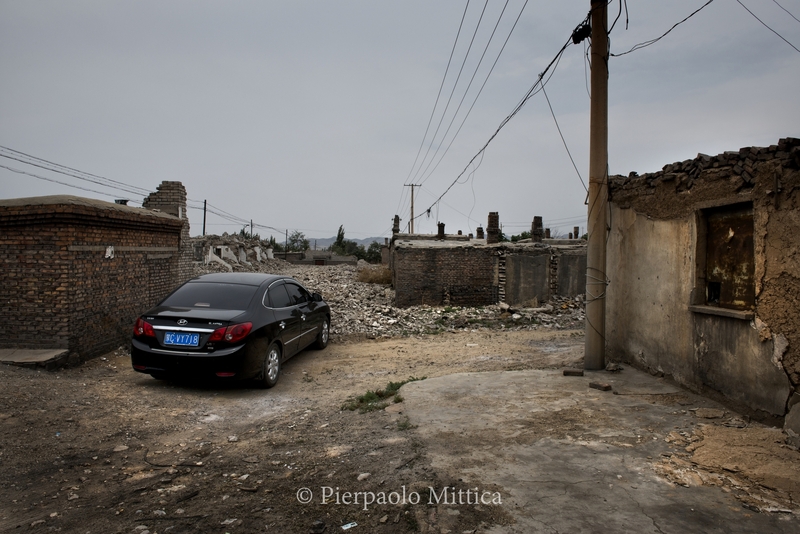 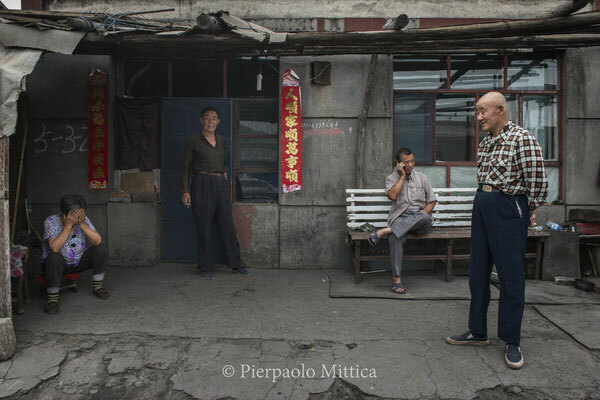 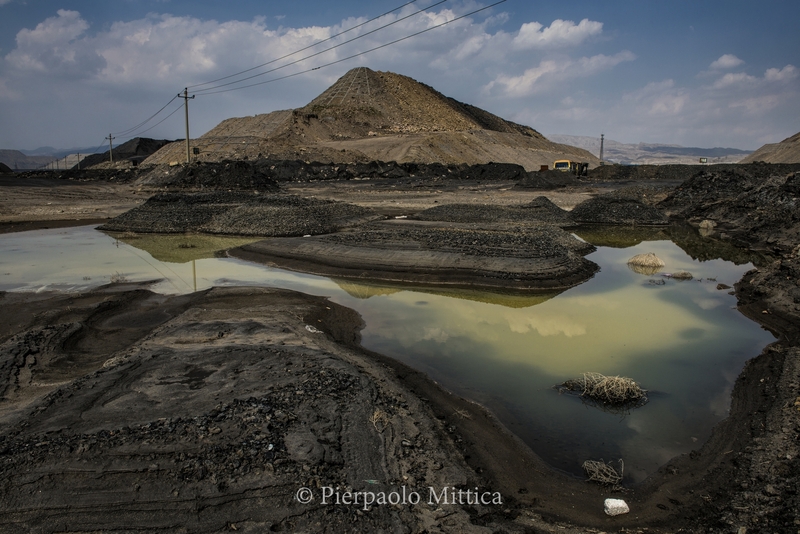 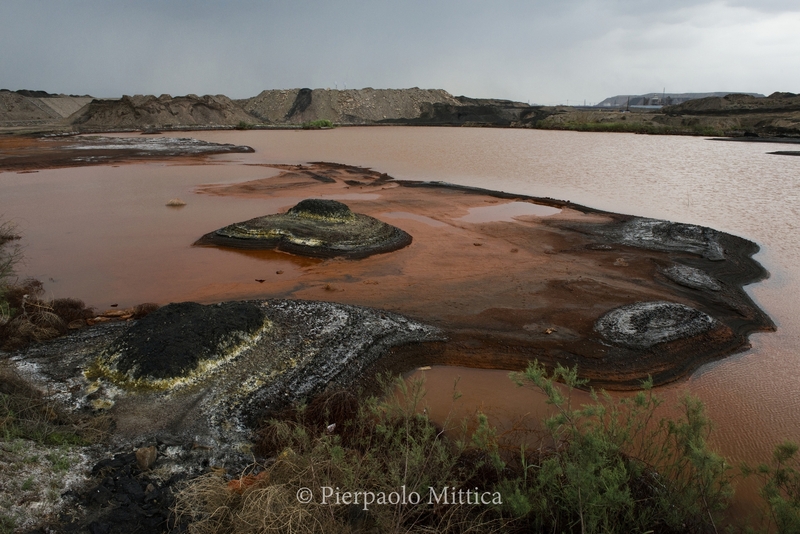 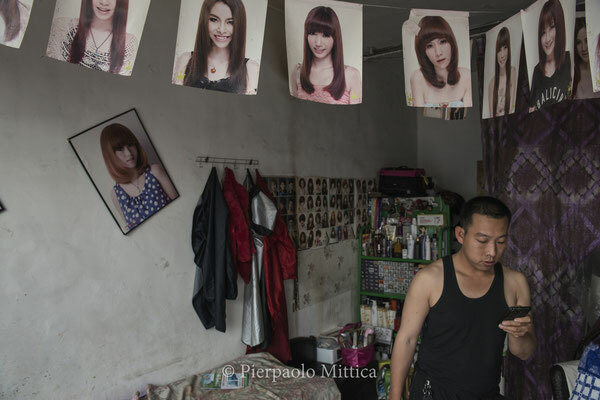 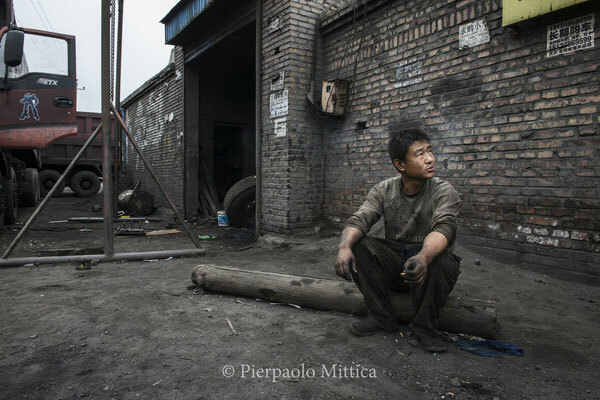 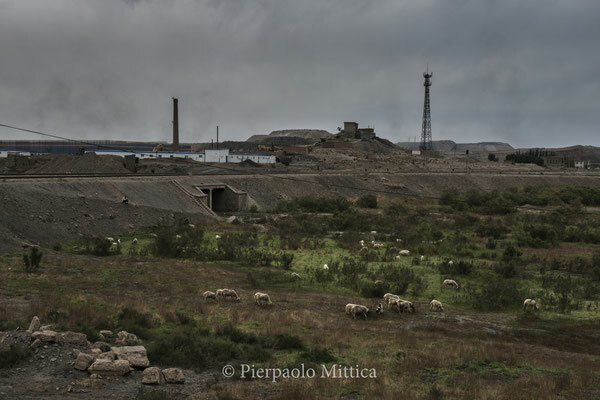 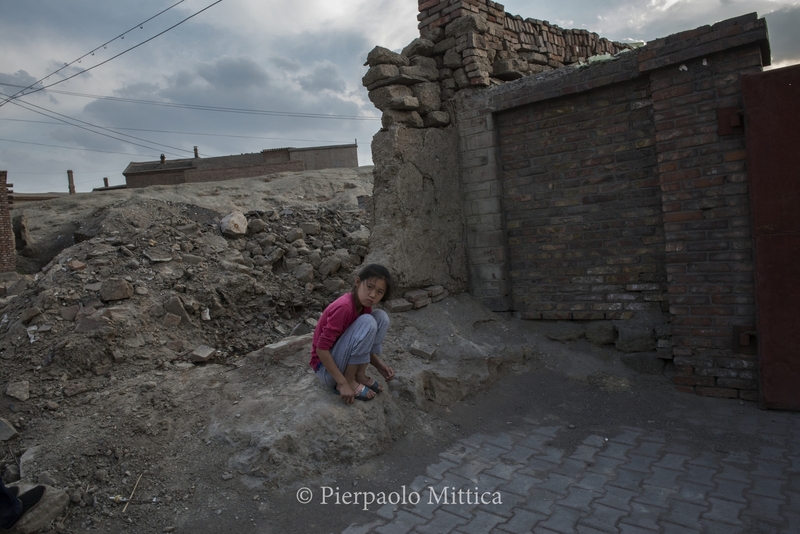 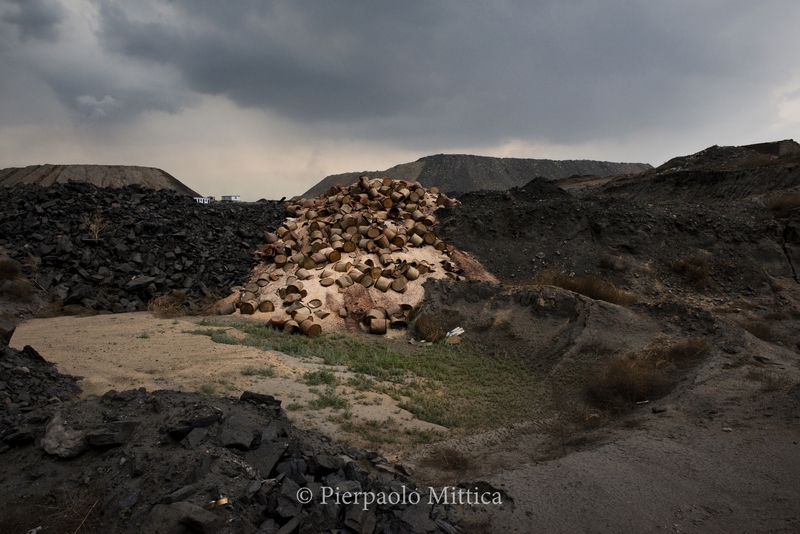 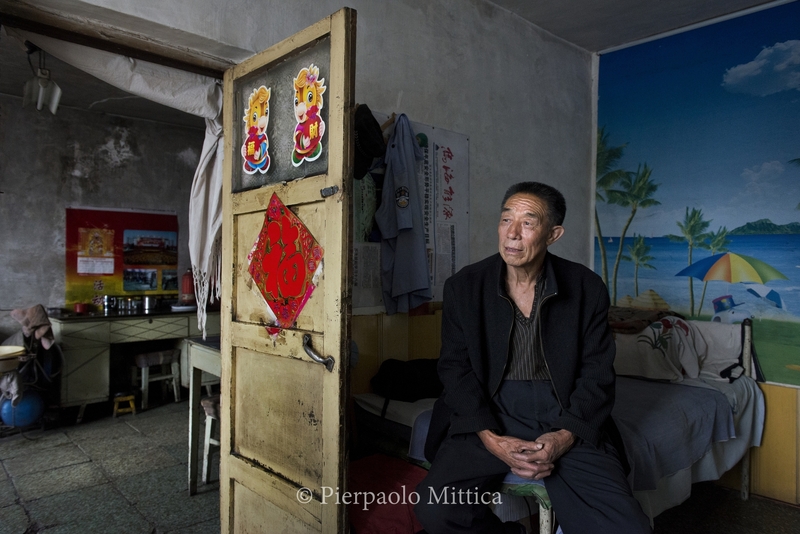 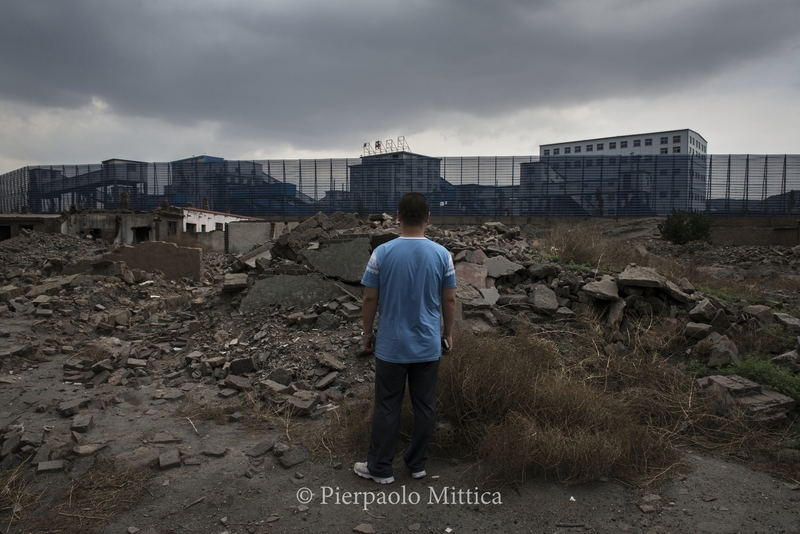 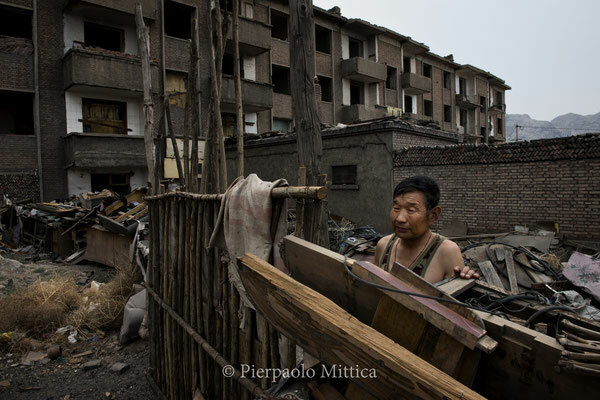 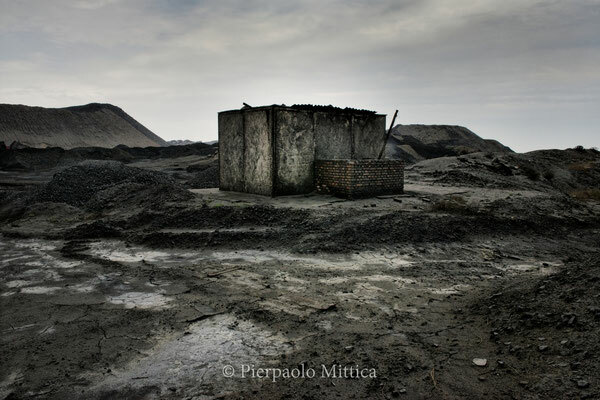 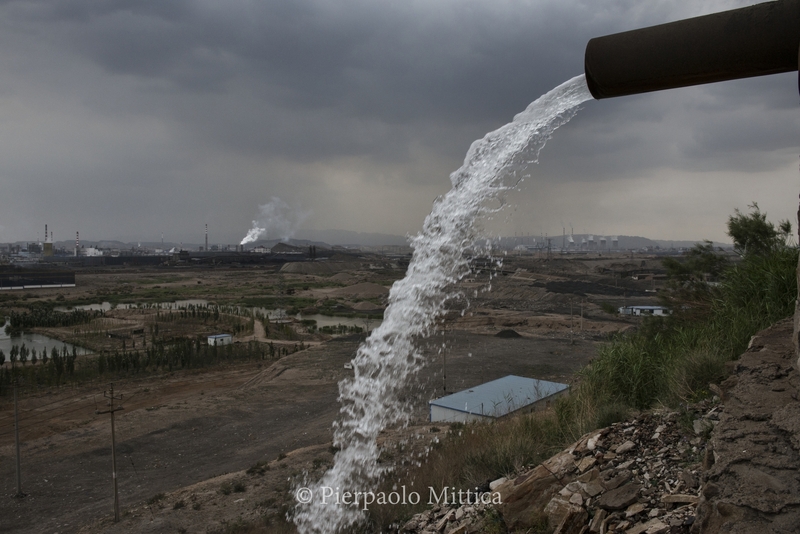 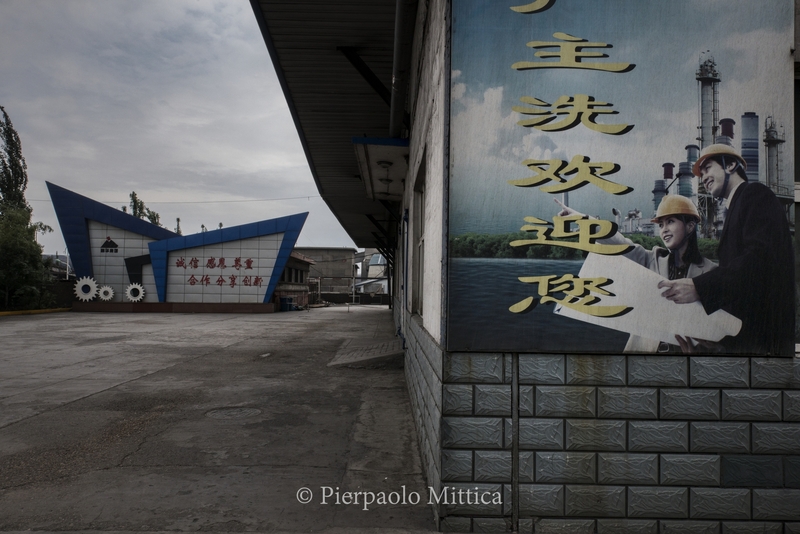 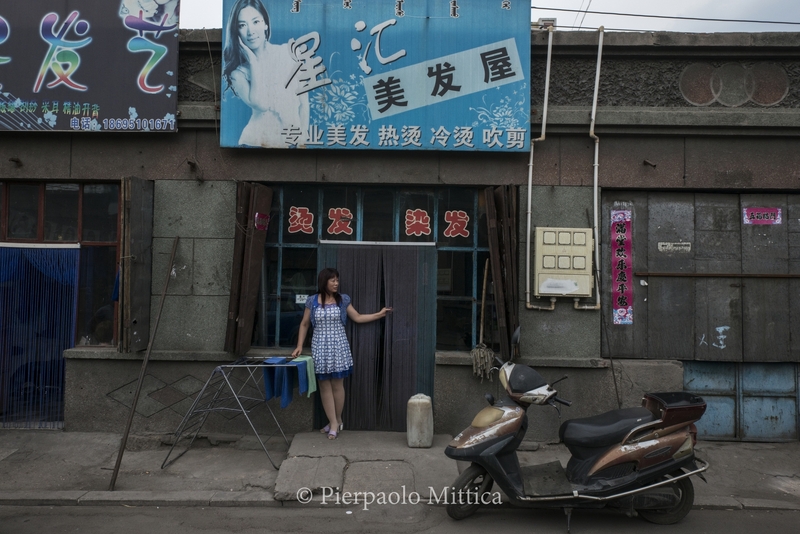 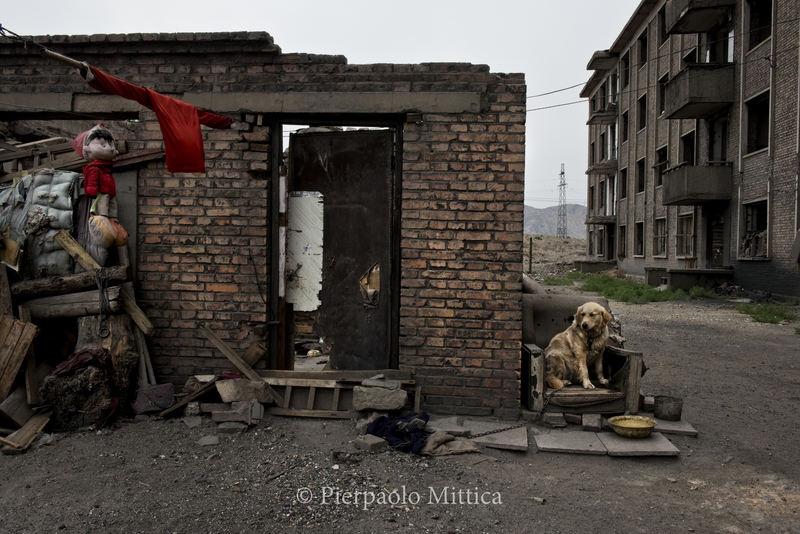 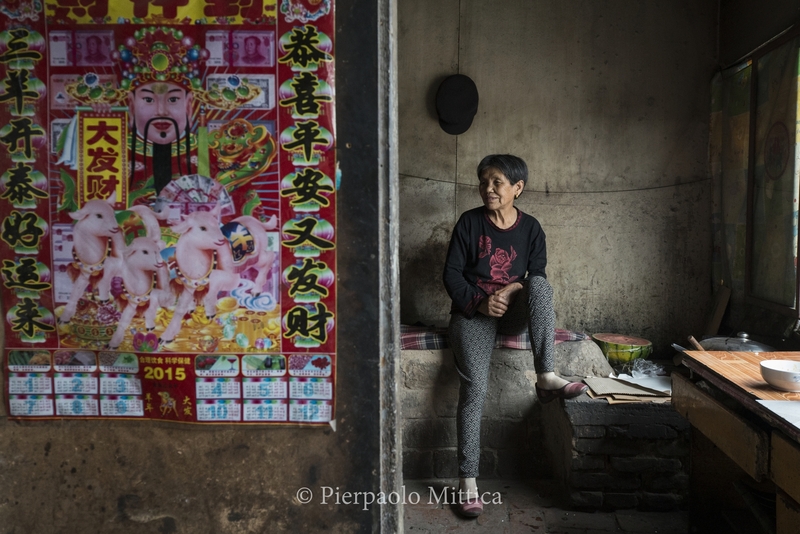 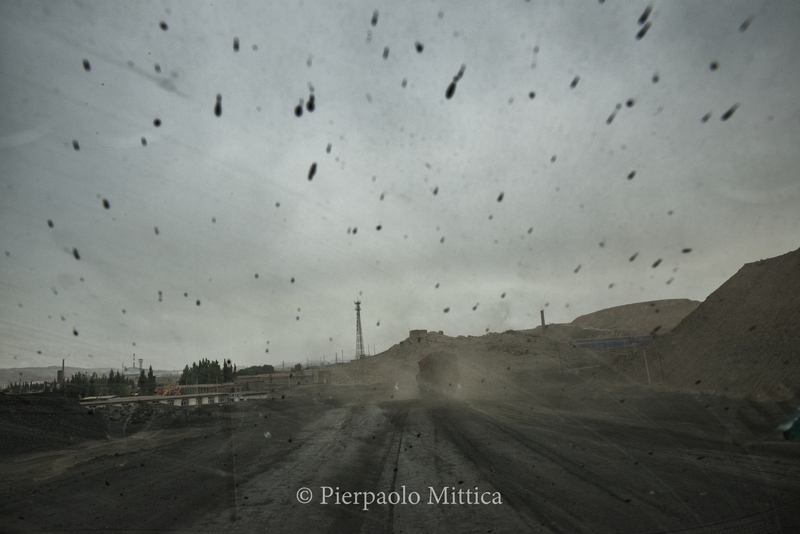 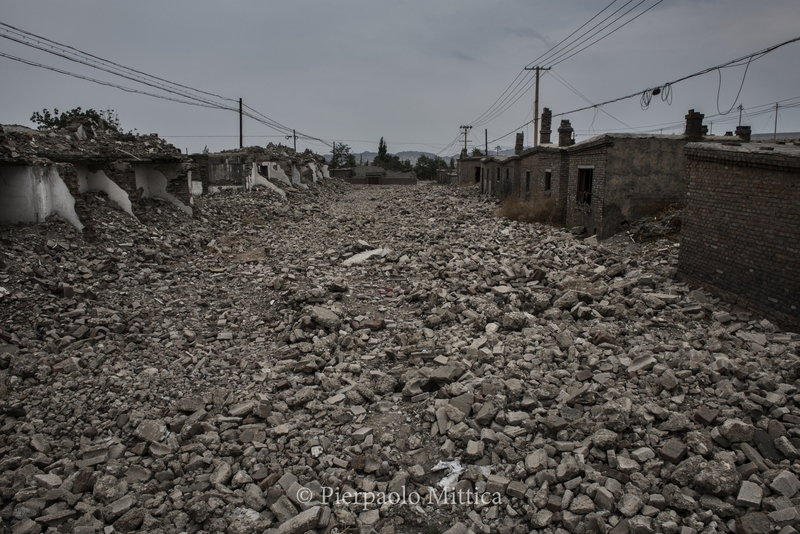 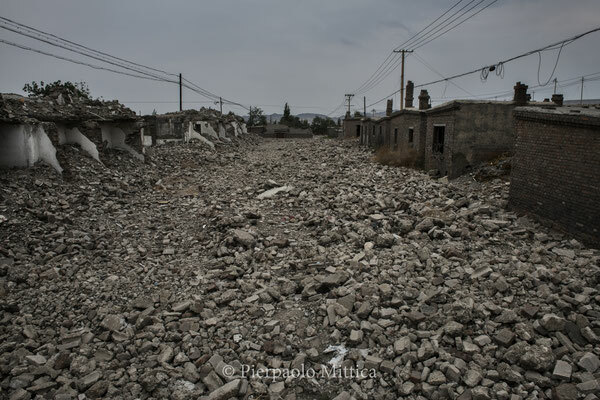 It's the Inner Mongolia region that used to give the 30% of the Chinese coal, now an abandoned area since 2012. 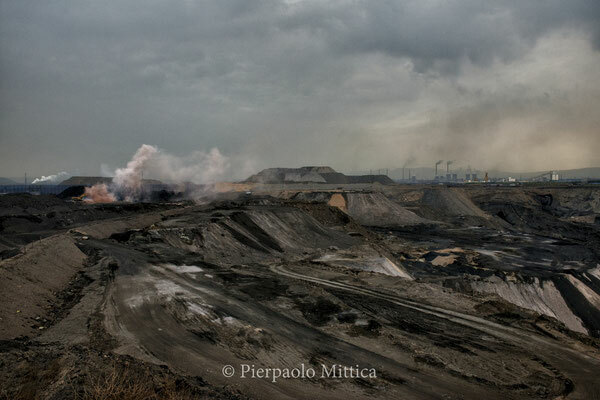 After the government conversion to renewable energies, and the consequent collapse of the coal economy, coal mines have become circles of an horrific hell, now hosting only those who can't escape. Among collapsed constructions and empty houses sometimes a few people pass carrying fruits on their bike - fruits soon to be covered with a black patina. 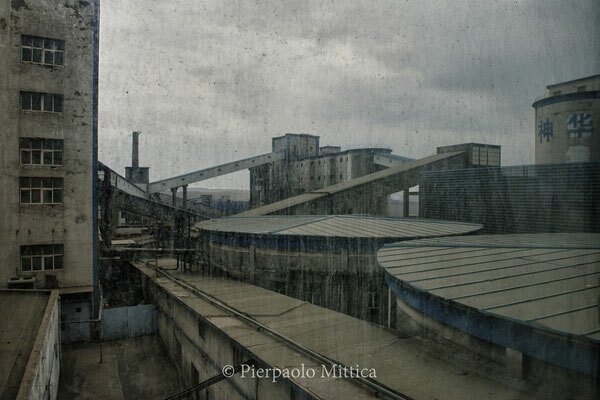 Broken trellises face yellow, poisonous clouds, and you can almost hear the laments of the hills around, hidden under an infinite number of barrels slowly pouring toxic liquids. It's a seventy kilometers long pain. 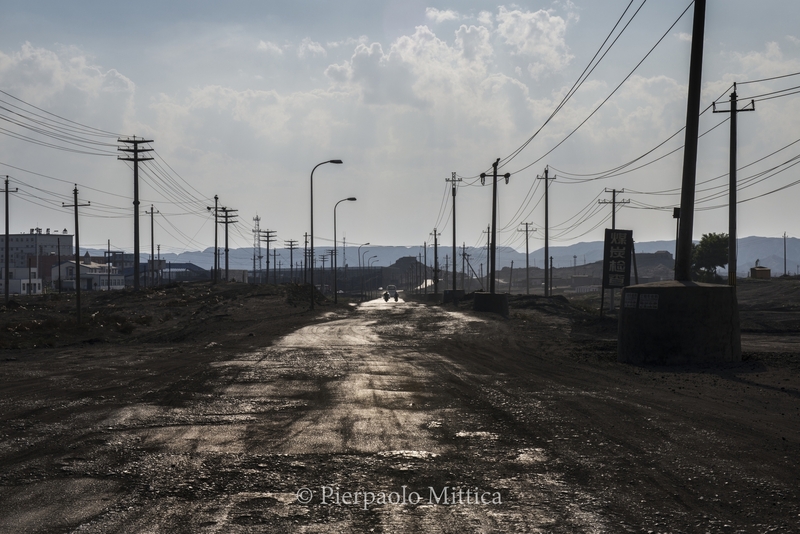 An endless string of fossil piles that almost rubbed out the old rural landscape, heavily polluted in its rare aquifers and chased by the desert, too. There are traces of life, anyway: before government's decisions hit the Wuhai region, the towns of the carboniferous basin counted dozen of thousands residents, the fields were populated by surprisingly white sheep and the lakes were reflecting other colours than metallic. 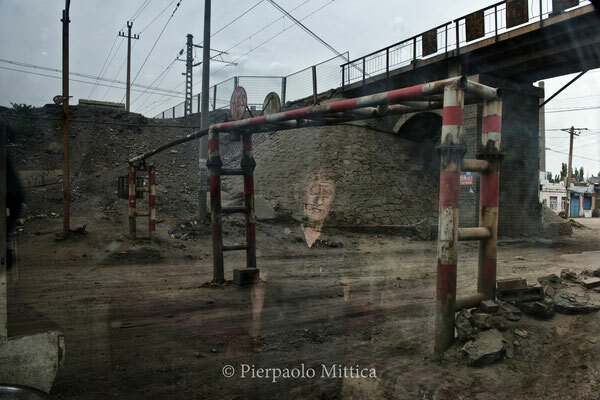 The planned moving of the residents from the country to the large cities, ordered by the government in cold, unnerving batches, is leaving behind fragments of a broken world: miners living their retirement gazing at a bill picturing an unreachable tropical island, ambiguous hairdressers and restaurant owners waiting for unlikely guests, youngsters spending their days in the digital illusion of their smartphones. 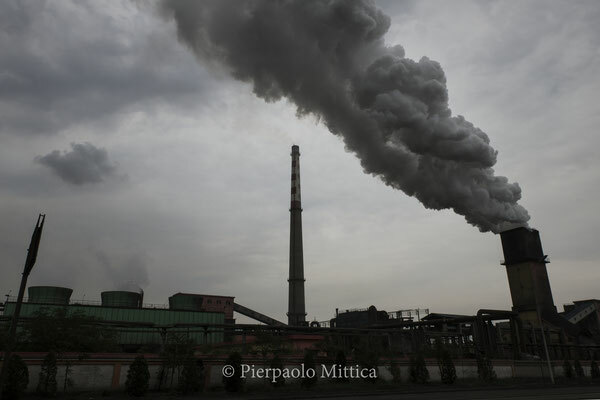 But thirty-five years of rampant exploitation and at least a century of wild damage to the environment are nothing but a short, black page in the millenary history of China, now ready to hope for another Dà yuè jìn (Mao's Great Leap Forward). 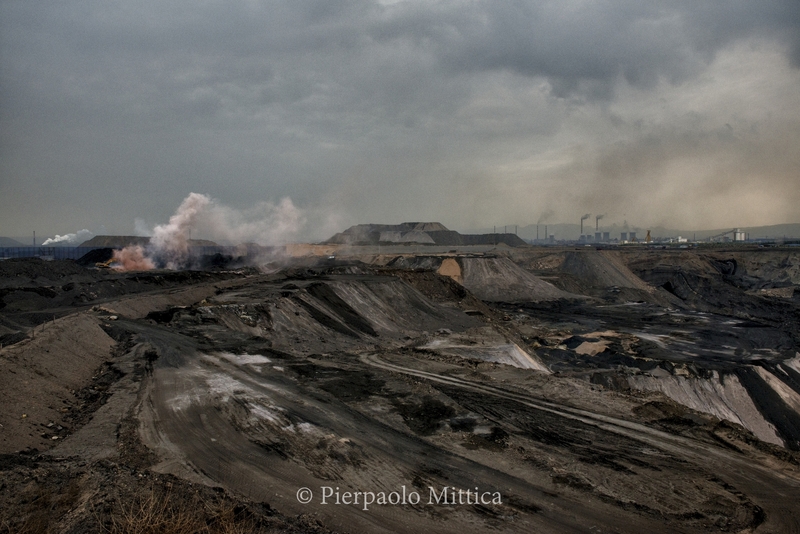 Maybe a little greener, this time.